We know mistakes do happen sometimes. What if you feel you are innocent or you simply think you have a chance to win, then why pay for the ticket? Most people will associate the experience of fighting a traffic ticket with headache and hassle. It is true that if you decide to fight it yourself, you will probably need to go to court and waste a whole day there. And that’s after struggling, researching and preparing all information and steps! If you hire a lawyer to fight it for you, be prepared to pay a good amount of fees that could be used for a vacation. But instead of figuring it out yourself and get lost, you have another hassle-free option! GetDismissed takes advantage of Trial by Written Declaration and offers you a one stop solution to fight your ticket for just $99. All you need to do is to sign up online, fill out the forms, and wait for the court decision. If you win: congratulations! If you lose: it doesn’t do anything bad to your traffic ticket. Q: Am I eligible for fighting my traffic ticket using trial by written declaration? A: There are a few exceptions.You need to be age 18 or older (if you are under 18, most courts require your parents or guardians to do it on your behalf). Tickets that are past due or have been referred to collection agencies are no longer eligible. You must have a traffic ticket that includes a traffic infraction – not a misdemeanor. Speeding tickets, red light camera tickets, lane violation tickets, stop sign tickets and other traffic infractions will all qualify. Misdemeanors like drunk driving, driving without valid license or suspended or expired driver’s license, tickets resulting from accidents do not qualify. Tickets that are not on file with the California Superior Court cannot be fought this way, such as tickets filed in U.S. District Courts like parking tickets, administrative tickets, tickets issued by park rangers, etc. Q: How long does it take to hear back from the court? A: After filing your trial by written declaration with GetDismissed, it will take between 30-90 days to hear back from the court. Q: Do I need to pay a bail? A: Yes. Vehicle Code section 40902 requires that you deposit bail in order to have a trial by written declaration. Deposit of bail is the choice you make for the convenience of not having to travel and appear in court to resolve your traffic ticket. Per GetDismissed, the bail amount is the same amount as the fine on your ticket. If you win, it will be refunded in full; if you lose, the bail is forfeited to pay for your ticket. Q: What if I lose the trial by written declaration? 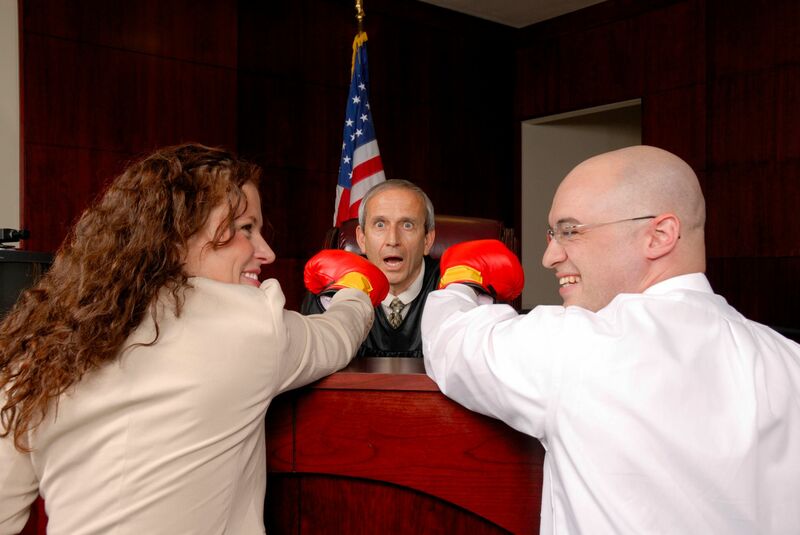 A: If you lose, you can request a new trial but you will have to personally show up at the court. Or You can request to attend traffic school to keep the DMV points off your record. It is advisable to go to traffic school if you are eligible, as it is the surest and safest way to deal with a traffic ticket. Learn How to Enroll Traffic School. Disclaimer: GetDismissed is affiliated with Traffic School by Improv, all information above is provided by GetDismissed. GetDismissed.com is not a law ﬁrm and purchasing a legal document is not a substitute for legal advice from an attorney.